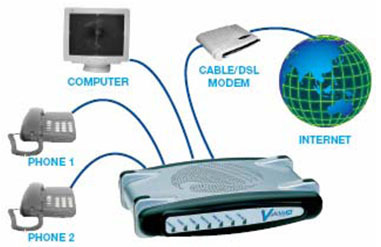 VoIP telephone adapter is use to connect a normal analog phone to internet. 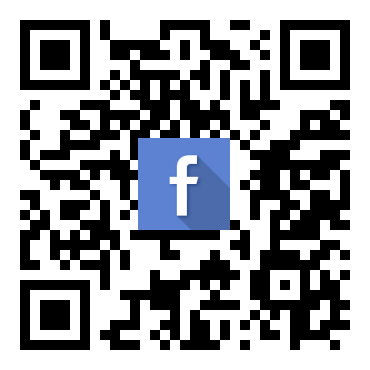 If you have IP phone, you will not need a telephone adapter. 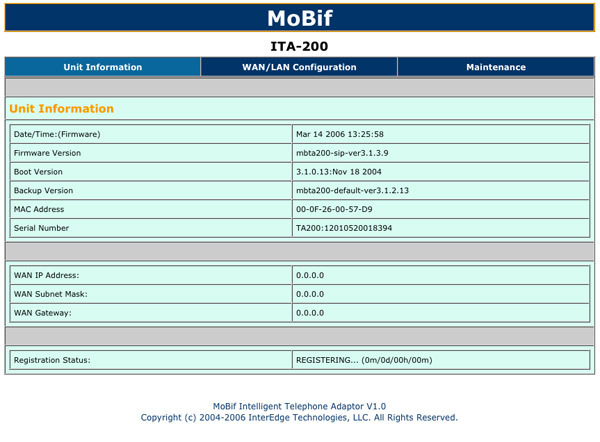 Our telephone adapter is model TA200. 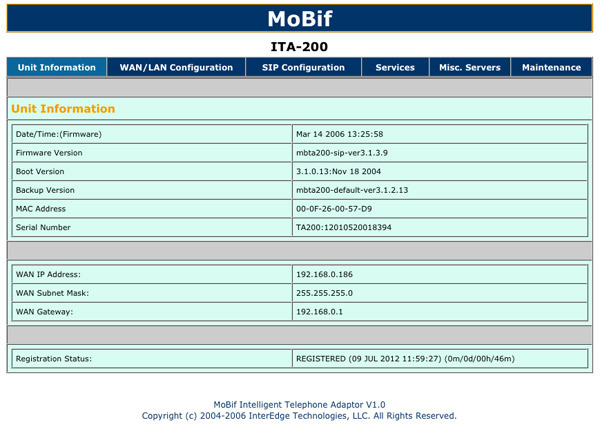 As the picture shows, the TA200 is connected to computer, internet, and 2 analog phone. You simply pick up the phone 1 or phone 2 and them dial as usual, for example, 0123456789 to Maxis hand phone and 006512345678 is calling to Singapore. Dial 0123456789 to Maxis hand phone. 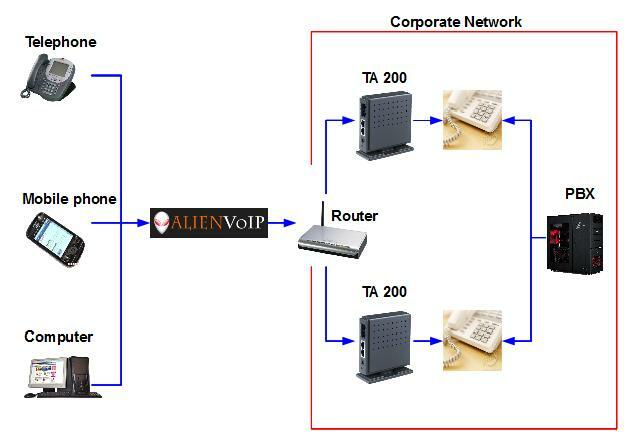 How to setup AlienVoIP with VoIP Telephone Adapter? Step 1 : Open your browser then enter 192.168.10.1 . Login with username admin and password admin. Step 2 : Record down the first 2 character and last 2 character of mac address(eg. 00 and D9 in the picture below). Step 3 : Press back to back to login menu and enter username admin and password is(last 2 character+ first 2 character+mbta200) For example:d900mbta200. 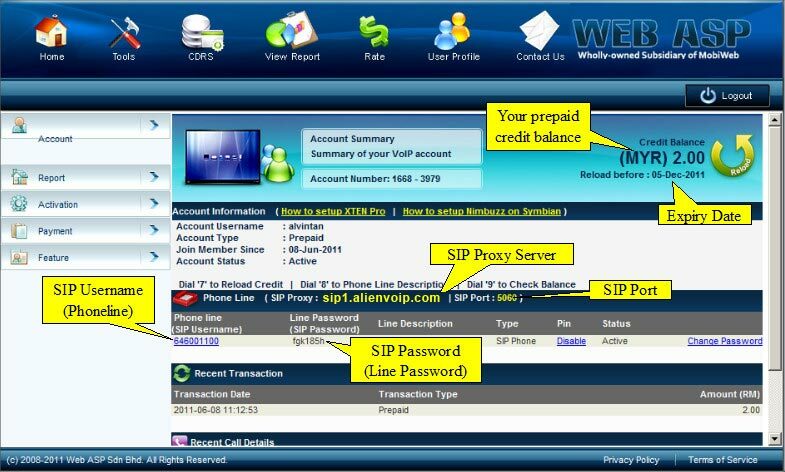 Step 4 : After login,go to SIP Configuration and enter the SIP Server information(primary and secondary for backup) and SIP Client Informationas below by referring to AlienVoIP Management System. Step 5 : After finished fill in all required field click on update.Then it will go to the page below then press Reset and Continue. Step 6 : You will now see the registration status is registering and the light of phone 1 and phone 2 at the TA200 is blinking. If successful registered, the light will stop blinking. 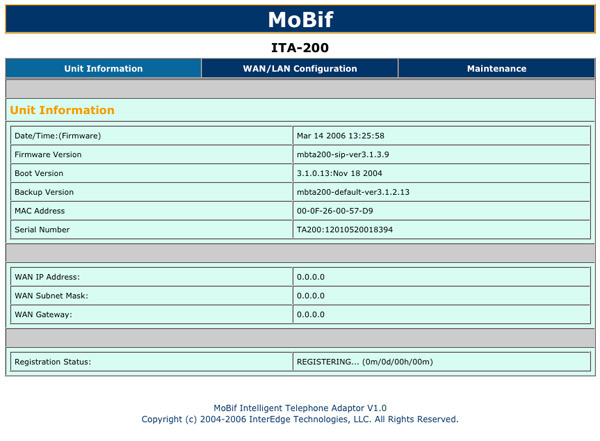 Step 7 : You will see see the registration status is registed if you have connected. Enjoy the lowest AlienVoIP calling rate now. 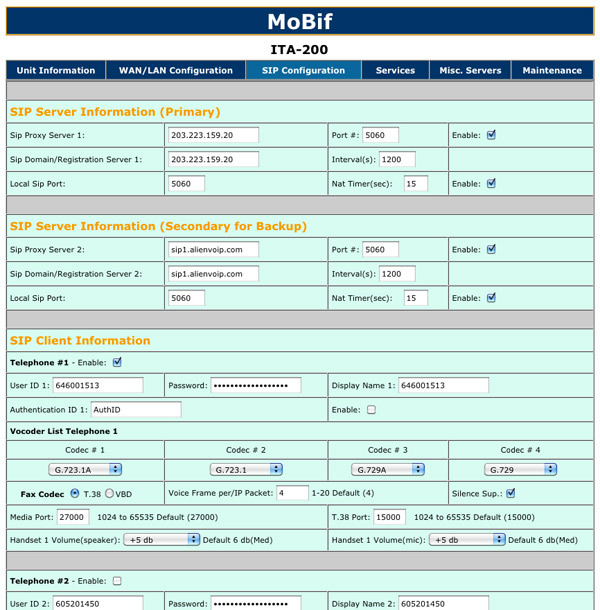 Please contact our team if you need any support to configure SIP trunk at your PBX.